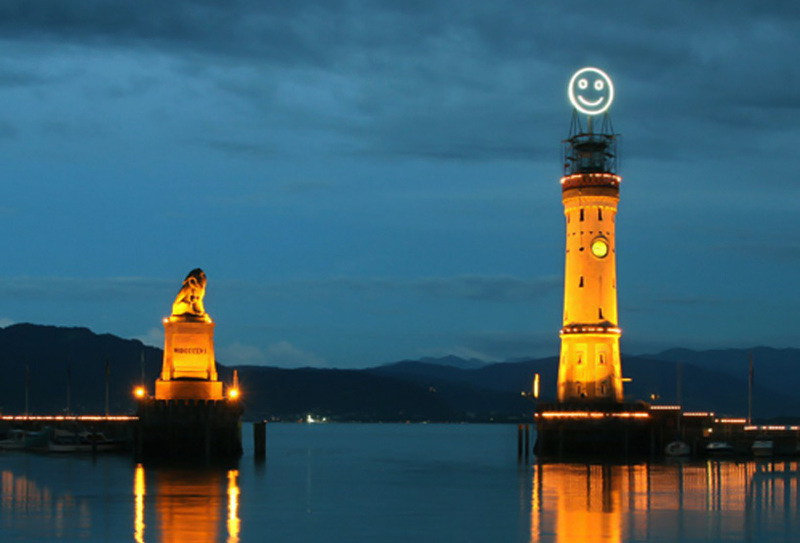 Monumental Interactive Smiley: Fuhlometer | The Vault of Ultimate Cool. 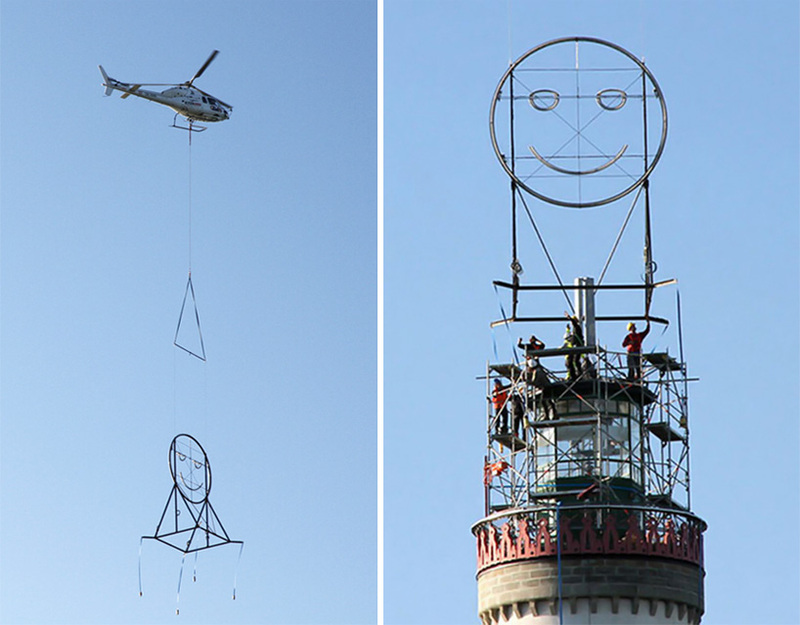 This is an interesting project to say the least it by three german artists Richard Wilhelmer, Julius von Bismarck and Benjamin Maus. The project is based on the mood of Lindau, there is a digital camera in place that takes pictures of passers by. Then there is a system that reads the emotions of random peoples faces the data is then stored in a computer and is the processed and projected through a smiley face, working in real time. The project started in 2008 with an earlier version and it looks like it has come back. The materials used are a mixture of neon lights and steel structure. 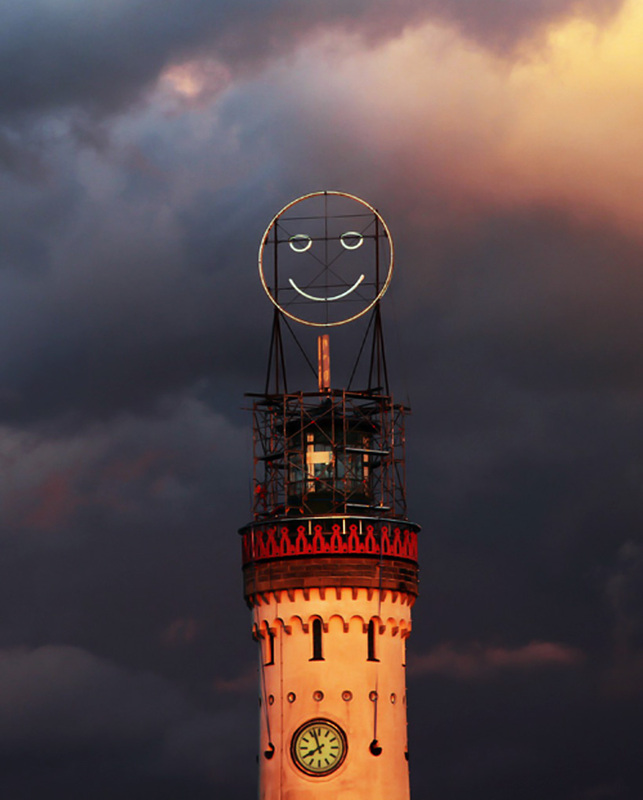 The smiley face has also been placed on top of a watch-tower in Lindau, Germany. The project has been really well thought out, from concept to production. Although it may seem like a small project it has such a great impact on the surrounding city. And there is a nice quirkiness to the project.